sei lifestyle: Birthday & Anniversary Organizer and Cards! Birthday & Anniversary Organizer and Cards! Birthdays and Anniversaries are important dates! It’s good to remember the special dates and wish our family and friends. 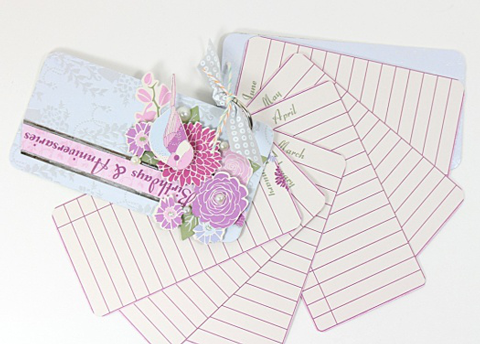 With time our family grows and we make new friends, there are lots of dates to remember, so here is a mini organizer idea to help you keep track of these special dates. I used pretty papers and sundries pack from the January 2015 Papercrafting kit for this project. Love the die cut flowers and the sticker sheet! I created a mini book by simply trimming down the pre-printed birthday calendar page(included in the kit). I punched hole to put a binder ring thru to hold all the pages together. 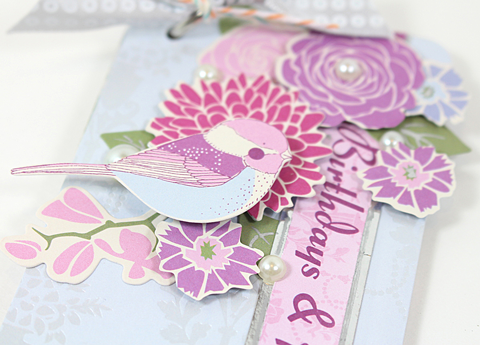 Then I embellished the top of the mini book using gorgeous flower diecuts, sticker and pearls from the kit. I also used some ribbons from Forever Sassy collection. I had so much fun creating with this paper crafting kit, I also made few cards!! I used the perforated sheet for the focal images of my cards. It's super quick and easy!!! Silver, gold and metallics are so trendy nowadays...I used gorgeous Silver cardstock to diecut my sentiments. Love the real metal like shine we get from these Foil cardstock!! 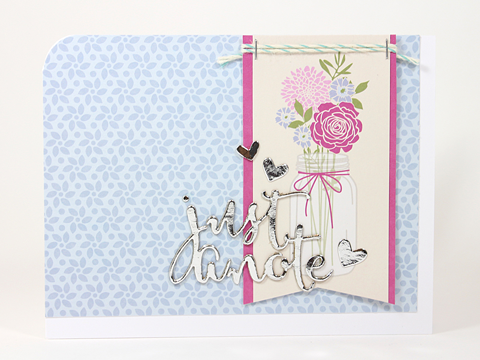 I also love the flowers in the jar...there are few different ones in the kit, stickers & die cuts. 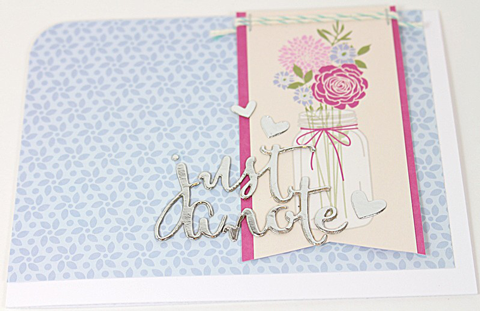 Again used the foil silver cardstock for diecutting my sentiment and tiny hearts. Hope you like these projects!! You can order your own kits HERE. Very sweet projects. 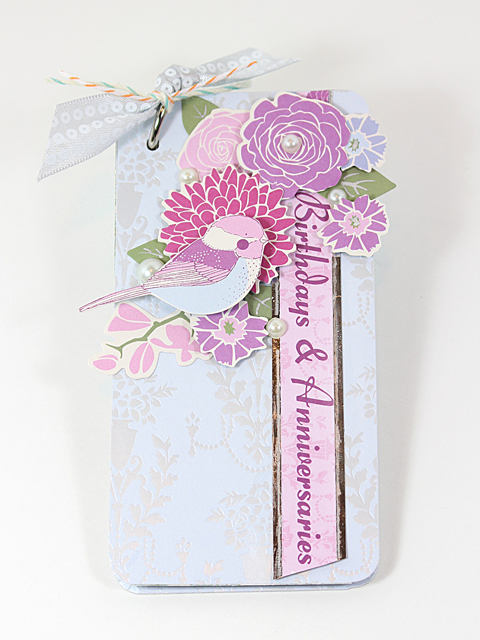 The birthday and anniversary organizer is a great idea! The mini birthday organizer is so cute. Great idea!